One of the common features of follicular lymphoma is a genetic abnormality between two chromosomes (14 and 18). 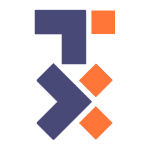 In an event known as "chromosomal translocation" the two chromosomes "swap" certain parts with each other. 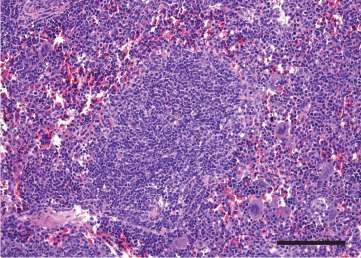 This triggers the activation of a gene that protects cells from dying, making cells virtually immortal—the hallmark of a tumor. The lab of Elisa Oricchio at EPFL, with colleagues from the US and Canada, analyzed the genomes of over 200 follicular lymphoma patients. Their analyses revealed that a specific gene, Sestrin1, can be harmed by both loss of chromosome 6 and silenced in patients. Sestrin1 helps the cell defending itself against DNA damage—for example after exposure to radiation—and oxidative stress. In fact, Sestrin1 is part of the cell's anti-tumor mechanism that stops potentially cancerous cells from growing. 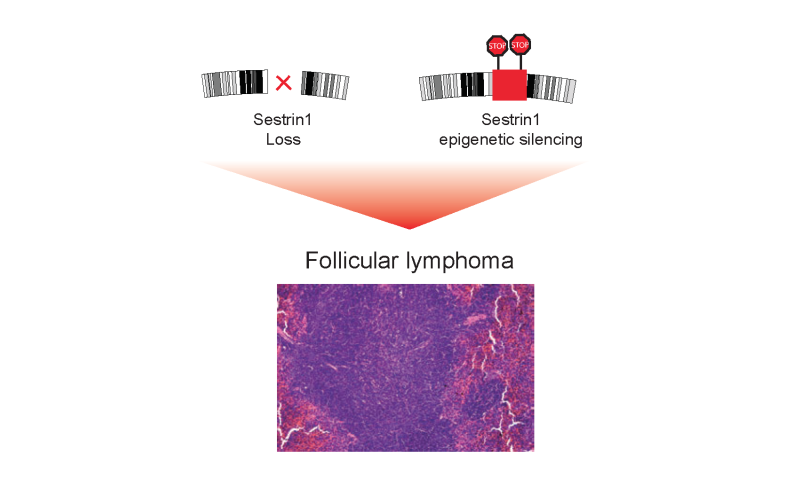 Disruption of a region in chromosome 6 or epigenetic modifications of the DNA block Sestrin1 expression and these contribute to the development of Follicular Lymphoma.